Colour is about feeling, passion and inspiration. 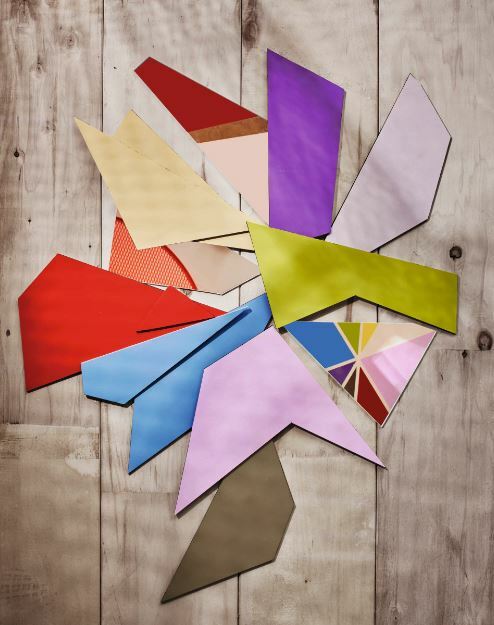 Colours make a big difference to any design, interior decorating or flooring project. “Choosing colours should not be a gamble. It should be a conscious decision because colours have meaning and function,” said Verner Panton, one of Denmark’s most influential 20th century furniture and interior designers. One of the biggest challenges that we have is that we love colour, but we’re afraid to use it. Consider the look and feel of many of the projects you are involved in – how colourful are the interiors of buildings actually? Of the paint being sold today, 80% is still white because clients continue to be afraid to make colour decisions. White is a beautiful colour and most people are happy with it, but sticking to white simply because it’s the least intimidating option is a thing of the past. How important is colour really? Karl Johan Bertilisson, who has been working with colour for the past 20 years, gave a presentation on the colour trends for 2018 and included this interesting statistic: According to research, up to 92.6% of a purchase decision depends on the visual dimension of the product. Of this percentage, 90% is based on colour only. “Whether you’re buying a car or shampoo, if you like the colour you will buy it. Colour is intuition so designers need to use their intuition to make colour choices,” said the Creative Director of the NCS Colour Academy. One of the main colour themes for this year is inspired by the craft heritage that connects different cultures to their past. This colour theme showcases a rich global mix in a palette of pigmented hues, fruity accents and watery blues. The overall feeling is one of connection and it is ideal for creating textured and rich living spaces. This theme also has a futuristic element to it. By combining an earthy shimmering mix of colour that reflects success, luxury and wealth, the colours are able to show a new type of African success. This theme is different from the traditional African colour palette that is influenced by natural resources. Rather, it reflects the African heritage of success in a local way by mixing earthy hues such as greens, dark reds and dull oranges to create a tranquil palette. Minimalism is combined with subtle luxury through metallic finishes, stone effects and details in gold and silver. The details are added in subtle way to show that minimalism doesn’t have to mean simplistic. The colour palette for this trend is an interesting mix of cool greys and blues along with warmer hues in copper and gold. Besides pairing minimalism with luxury, colour forecasters and trendsetters are also pairing tones that enable designers to edit spaces to create room for contemplation. The look is inspired by classic colours and forms to create a calming and grounded mood. Trendy, bold, retro colours assist in updating the muted colours so that the contemporary and classic are combined within spaces. The whole idea is to create spaces that feel familiar but at the same time look new, which is a warm take on minimalism for the way we live. Leading paint brands are also creating interesting mash ups of digital, physical, high-tech and earthy elements. By mixing earthy greens and brown hues with raw metals and warm purple, for example, designers can turn the anonymity of our high-tech, urban lives into spaces that feel eco-friendly and collective. The youthful and experimental spaces can also be accentuated with citrusy sorbet tones, soft pinks, mid-toned primaries and grounding earthy colours to hold it all together. 2018 will also see the distinction between natural and artificial blurring in response to scientists and artists hybridising the two in their work. Jungle-inspired brights are almost phosphorescent, especially against the backdrop of lush natural hues. Spaces that are both natural but have an undercurrent of energy and liveliness will be popular this year. Specialised tip: Research shows that up to 92.6% of a purchase decision depends on the visual dimension of the product. Of this percentage, 90% is based on colour only. Full thanks and acknowledgement are given to www.ncscolour.com and www.plascon.com for some of the information contained in this article.